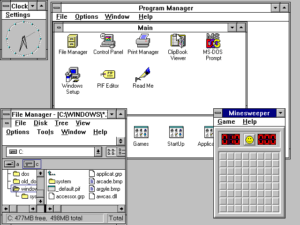 Workbench 3.0 was a substantial upgrade over Workbench 2.0, and brought many new features to the Amiga Workbench environment, although most of them were not visible to the user and were reliant on the new Kickstart 3.0. Support for ‘datatypes’, a flexible system for working with files. Support for using pictures as the background on the Workbench and in windows. The new ‘Multiview’ software tool, that used datatypes to enable opening and display/playback of any file type for which there was an installed datatype. 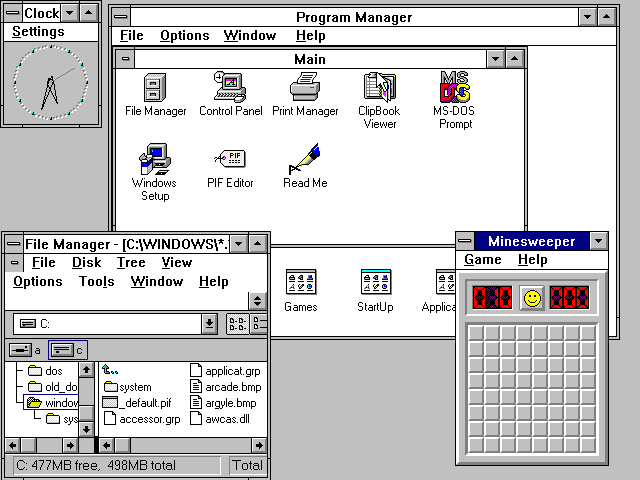 Microsoft Windows 3.1. Used with permission from Microsoft.